The mobile-based EHR for specialists has raised funding a number of times to total $318 million. Modernizing Medicine, which makes a mobile-based EHR for specialists, has raised $231 million from global private equity firm Warburg Pincus. The company has raised funding a number of times before, so this raise takes its total funding to $318 million. 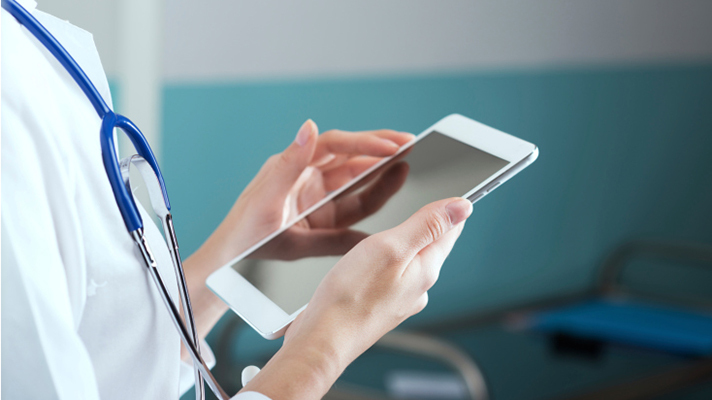 Modernizing Medicine has distinguished itself from other mobile EHR systems, and from legacy EHRs, in a number of ways. Most notably, it focuses on catering to the specific needs of medical specialists, including dermatologists, ophthalmologists, orthopedists, otolaryngologists, gastroenterologists, urologists, and plastic surgeons. In order to understand those needs, the company hired practicing physicians to work with engineers to build the technology. The company also bolstered at least one specialty through M&A, acquiring gastroenterology tech company gMed in fall 2015. Additionally, Modernizing Medicine has a focus on AI, using aggregated, deidentified data to create population-level insights that are then delivered back to the physician. The company was also working in 2015 on developing a new app as part of IBM Watson's ecosystem project, called schEMA. The new app would build on the work EMA does with aggregated EHR data, but add in Watson's ability to parse unstructured data, to give medical specialists the best data on treatment options for their patients. According to a spokesperson, the company is no longer actively pursuing the app for commercialization. "Modernizing Medicine continues to explore how cognitive computing can play a role in healthcare," a representative wrote in an email. "Its schEMA application made for an exciting proof of concept, but the company felt that it still need to mature further before it would be commercializable." Lately Modernizing Medicine has been expanding beyond core EHR functions to offer practice management, revenue cycle management, telehealth for dermatology, analytics, and more. With the new funding, the company plans to add more features including automation of prior authorization workflows, deployment of an eCommerce platform, data interoperability, and additonal telemedicine features. Fred Hassan, managing director at Warburg Pincus, and Amr Kronfol, principal at Warburg Pincus, will join Modernizing Medicine's board of directors. In addition to the development of new features, the funding will be used to expand operations and provide liquidity to shareholders.